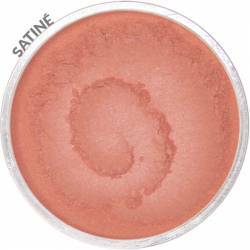 Blush is a natural mineral powder that brings color to your complexion, a fresh and dainty button. 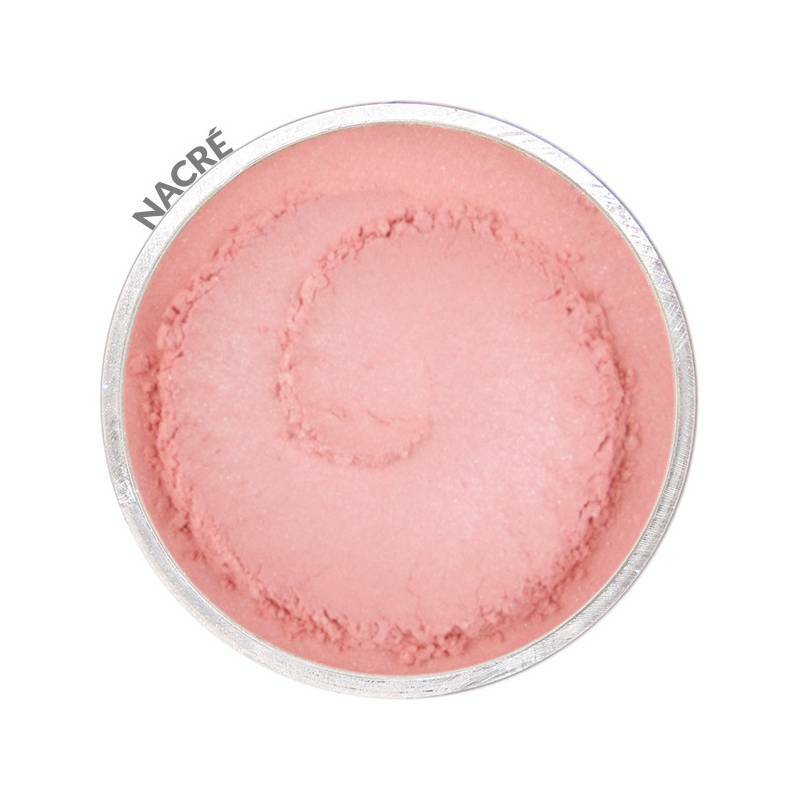 Mica, Boron Nitride, Magnesium Myristate, Titanium dioxide, Silica, Zinc oxide, Silk powder, Iron oxides, Jojoba ester, Allantoin (+ Cochineal in "Séduction" & "Candeur' tinte). 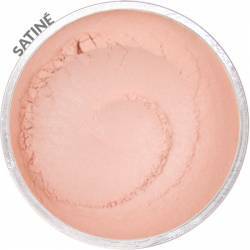 100% natural ingredients and 58 to 82% ECOCERT certified ingredients (depending on the tinte). 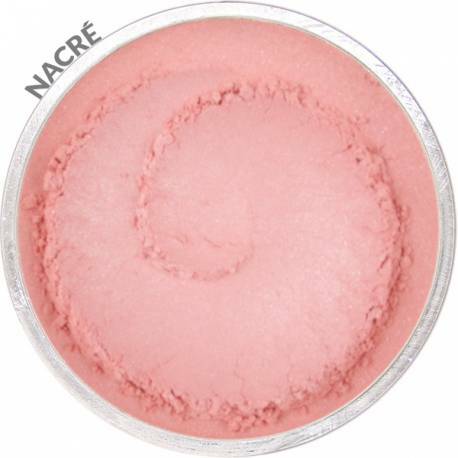 REGULAR : jar with sifter - capacity : 3 gr. REFILL : pouch - capacity : 3 gr. 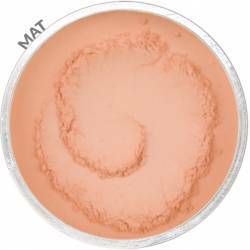 Use a brush with less dense fibers than your foundation brush. The angled-end brushes are specially designed to facilitate application. 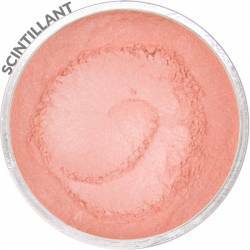 Load a very small amount of blush minerals, and lightly swirl on apple of cheeks in an outward circular motion. 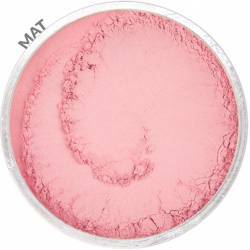 Ideally, to get maximum highlight, we recommend using a lighter shade on the apple of your cheeks, and a darker one on the hollows of your cheek to sculpt the face and add dimension to it. 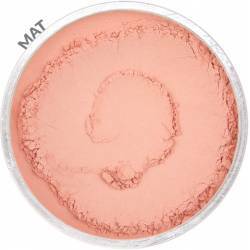 If you look tired, apply mineral blush near the eyes for a stronger bloom of colour. 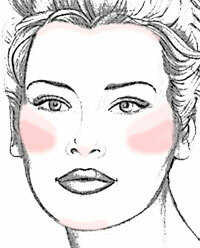 To balance out a large face, choose to apply blush in the middle of the cheeks. On the other hand, if you have a narrow face blend it outward.